The Face Peeling Spa Effect refreshes the skin with the finest cleansing rock crystal minerals, restorative oils and plant extracts. 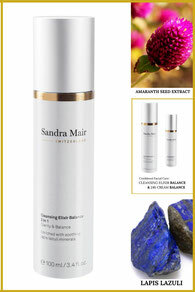 Enriched with purifying rock crystal minerals. For all skin needs, even for sensitive skin. pH skin-neutral. Vegan.